Biotools (India) is a company based in Bangalore, India that specialises in training substance detection dogs for sale to government and private agencies. Based on client requirement, dogs can be trained to detect any substance. Typical substances are explosives, narcotics, human remains, currency, gas leaks, pirated DVD's, agriculture and wildlife products, termites and so on. Of these, explosives detection is the most critical, and requires extra care in training because of the nature of the task, the need for safety and the consequences arising out of failure to detect and / or false alerts. Our expertise is therefore built around the requirement to train explosives detection dogs and the same techniques and strict protocols are implemented for training dogs in the detection of other substances. 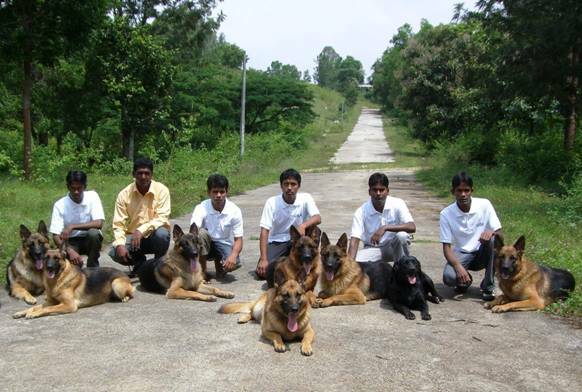 This ensures that the quality of dogs trained by us, regardless of discipline, meets exceptional standards.